London's Triumph Merchant Adventurers and the Tudor City | Free eBooks Download - EBOOKEE! 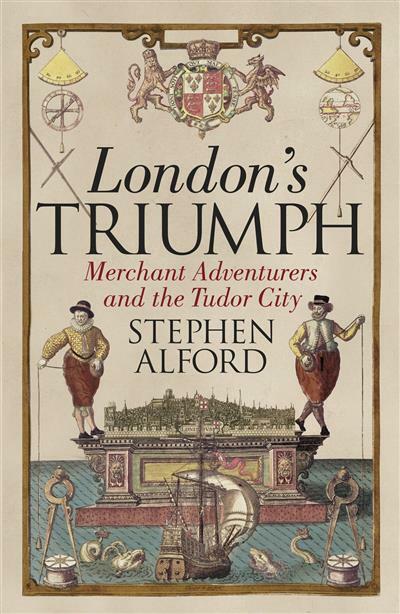 Stephen Alford's evocative, original and fascinating new book uses the same skills that made his widely praised The Watchers so successful, bringing to life the network of merchants, visionaries, crooks and sailors who changed London forever. In a sudden explosion of energy English ships were suddenly found all over the world - trading with Russia and the Levant, exploring Virginia and the Arctic, and fanning out across the Indian Ocean. London's Triumph is above all about the people who made this possible - the families, the guild members, the money-men who were willing to risk huge sums and sometimes their own lives in pursuit of the rare, exotic and desirable. Their ambitions fuelled a new view of the world - initiating a long era of trade and empire, the consequences of which we still live with today. No comments for "London's Triumph Merchant Adventurers and the Tudor City".